Autism and Koi Ponds. Koi and goldfish ponds role in managing melt downs. Studies have shown social interactions among autistic children with pets are performed at a higher level. Parents of autistic children have reported “incredible success”, “fish keeping mellows out autistic children in a way that can’t be achieved in other environments”. Other reports out of University of Missouri Thompson Center for Autism and Neurodevelopmental Disorders state that “pets were beneficial for the children’s social skills” “data revealed that children with any kind of pet in the home reported being more likely to engage in behaviors such as introducing themselves, asking for information or responding to other people’s questions. These kinds of social skills typically are difficult for kids with autism, but this study showed children’s assertiveness was greater”. These are pretty profound findings. The addition of a koi and goldfish pond into the life of a family that is dealing with autism can have a significantly beneficial impact on not only the autistic child’s development, learning, and behavior; but the entire family’s relationship. Koi and goldfish ponds are an interest that the entire family can share. Many children with autism are prone to melt downs and sever temper tantrums. During these difficult times the child can become completely disengaged, unable to focus, difficult to control. Melt downs can occur on a regular basis, sometimes even a daily basis for more challenging cases. During these times the children benefit from “calm areas”, a designated place to help the child come back to composure. Koi and goldfish ponds can offer a very calming environment for autistic kids. Recovery times from periods of melt down can be accelerated in the presence of a koi and goldfish pond. Interactions with koi and goldfish can have almost immediate calming effects and more focused attention. What many people don’t realize is that koi and goldfish are a highly social variety of fish, in other words they are not shy. Koi and goldfish recognize their caretakers and readily interact and engage with them, even some light petting is very normal behavior. These fish are comically demanding to have treats of food, eagerly following their caretakers around the pond. With lifespans of 40+ years, their large size up to 3 feet, and outweighing most cats and small dogs; koi and goldfish easily become family pets. The bright colors of the fish, the hypnotic swimming patterns, and their eager cheery disposition can charm anybody and autistic children share that same strong response and attraction to these amazing creatures. For younger autistic children, koi and goldfish ponds offer tremendous teaching opportunities. Learning words and colors is fun and engaging with koi and goldfish. Eyes, fins, scales, and tails are just a few fun words; lots of vocabulary can be introduced and comprehended. The many colors that koi and goldfish come in allow for the exciting experience of a child recognizing a color to happen again and again. Who doesn’t love when a child points to a big happy koi and says “red fish!”; it never gets old. Counting fish is so much fun that Dr. Seuss even wrote a book on it! Hanging by the pond counting fish is an activity that can be repeated with every visit to the pond. Learning all the names of fish, and mastering the ability to identify differences in the colors, patterns, and nuances of koi and goldfish is a great mental excersize. Naming of the fish and caring for that living creature is powerful, taking care of “Henry the koi fish” is empowering. 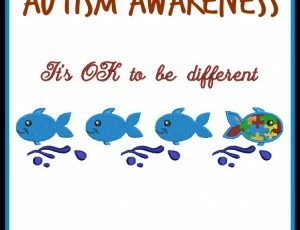 Recognizing each koi and goldfish by name is an incredible connection and experience for the autistic child. Feeding fish is another activity that greatly engages the child and brings a new focus away from the meltdown at hand. The feeding of fish is also a very social activity with lots of opportunity to engage, talk with autistic children; and to ask them questions about their fish pond. Feeding koi and goldfish teaches sharing and offers educational opportunities as well. Many children will also enthusiastically help clean and maintain the koi and goldfish pond as well. The entire environment of koi and goldfish ponds have an overall soothing effect, they are naturally relaxing. There is something about watery environments. The sounds and movement of the water, the reflections of surroundings on the surface of the water are pure relaxation. The family dealing with an autistic child, that chooses to have a koi and goldfish pond in their life can also expect to see many colorful song birds visit the pond giving a greater and deeper interaction with nature beyond the fish. Koi and goldfish ponds will also deliver some other critters that will surely delight. An ASD child will find be enchanted when the inevitable froggy visitor shows up to the pond, a couple big croaks will undoubtedly draw some laughter. Watching beautiful dragonflies zip around the pond is simply mesmerizing. There are companies that specialize in creating water feature “calm areas”. Full Service Aquatics, based out of Summit, NJ (www.fullserviceaquatics.com) is a company that creates “calm areas” and aquatic experiences for families dealing with ASD, or just looking to make a lifestyle change. 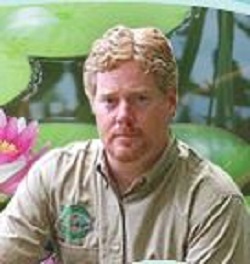 Mike Gannon, owner of Full Service Aquatics, says his company creates “calm areas” that feature koi and goldfish ponds, and many varieties of water features. The areas they create feature beautifully designed ponds that typically feature a waterfall display. Around the ponds seating areas are created to provide a comfortable spot to re-compose by the pond. Submersible lighting is installed to allow for any time of day use, and of course the undeniable aesthetic appeal. Beautiful aquatic and landscape plants are installed to create a complete environment for the entire family to enjoy. The areas are designed to promote peacefulness and relaxation. With the explosion of autism happening all around us, solutions to help manage this health crisis in-home are sorely needed. Koi and goldfish ponds can be one of the solutions that parents, kids and families are looking for. More awareness is needed for the koi and goldfish pond keeping hobby / lifestyle and the benefits of it, not solely for the ASD child, but for the entire family. Koi and goldfish ponds provide an interest that all people, of every type, ages 1 thru 101 can enjoy and benefit from the healing properties they possess.